I ran the Portland Marathon on October 5th. For the next week I felt the usual post-race letdown. They say that you are a different person when you finish a marathon than you were when you started it. I felt that way after my first half marathon, but the marathon just felt like a really long run. I wasn't feeling particularly successful or proud of myself. I mean, these days everyone runs marathons, right? My facebook feed is filled with people who run a marathon every weekend--some for FUN--run long-distance relays and triathlons, and barely need a break. All I did was run one measly marathon that took me over 5 hours to finish. I had really hoped to break that 5 hour mark, even though my training clearly showed that was highly unlikely. And that 3 minute PR? That can easily be explained by not needing a bathroom break this year. Remember this? I was sweating out of pores I didn't know existed. Nope, no great feelings of success. In fact, I was feeling so bad that I ended up in the ER with a falsely diagnosed heart attack 2 weeks after the race. (A combination of work and life stress didn't help of course). Ok, so the doctor wasn't *quite* so cavalier. It *was* scary though. Source That's still a small percentage. Here's the thing: maybe some people have been swimming, biking, and running since they were zygotes. And maybe the average recreational athlete is a good 25-50% faster than me in races. And maybe some people have had major transformations in their weight, their health, or their looks. But in the end, none of that matters. You know why? Because running makes me happy. And that's what makes me a runner. Oh, and also a 2 time marathoner. How do you identify yourself? How long did it take you to own that identity? 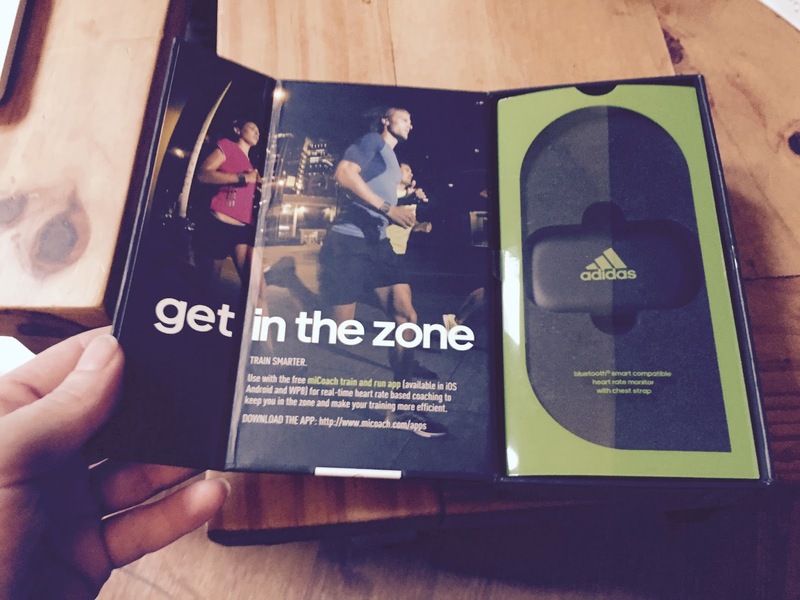 Disclaimer: I was provided an Adidas bra and heart rate monitor in exchange for a review. I was not provided additional compensation and all opinions are my own. Back when Emily offered me the chance to try out Oofos (which I'm wearing as I write this), she also asked if I would want to try a sports bra that has a spot for a heart rate monitor. 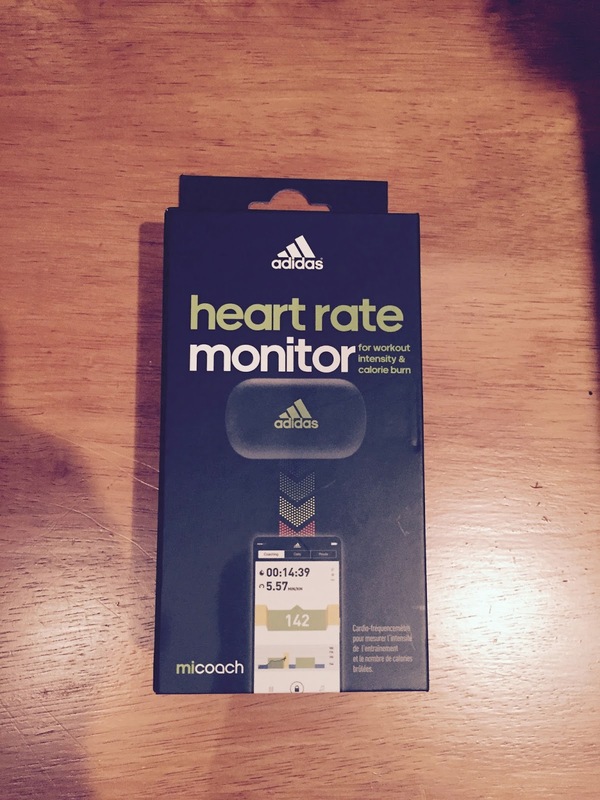 I happily agreed and was surprised when they sent an Adidas miCoach monitor along as well! It came with a heart rate monitor and a strap. All I had to do was clip the monitor into the bra and pair it with the free miCoach app on my phone. I was a little confused about how to get things going, and after a few user errors I found a video that showed how to get started. I moistened the strap, as demonstrated. Since that didn't work, I tried again; only this time with a little more moisture. This went on over and over. When I eventually did get a successful pairing, I was pretty excited! Until I saw the readout. 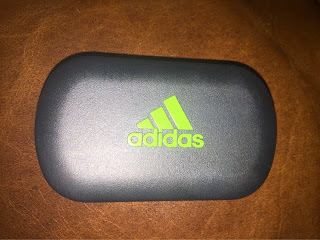 Emily put me in touch with Adidas digital sports. 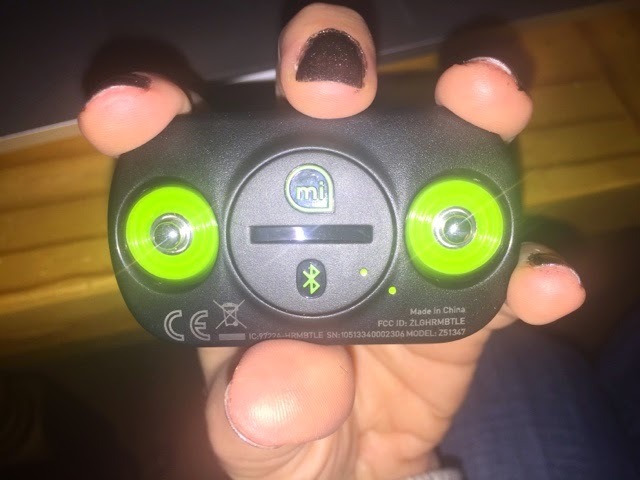 They were very nice, and after various failed attempts to problem-solve they sent me a replacement and had me send back the original and let me know it worked just fine when they tested it out. GAH. I took the monitor on several runs, using both the bra and the strap in order to see if one way worked better than the other. It had some quirks. It did this at the beginning of every run for 5 minutes straight. 1. The fit is good. It's your basic sports bra designed to keep the girls in place during exercise. 2. 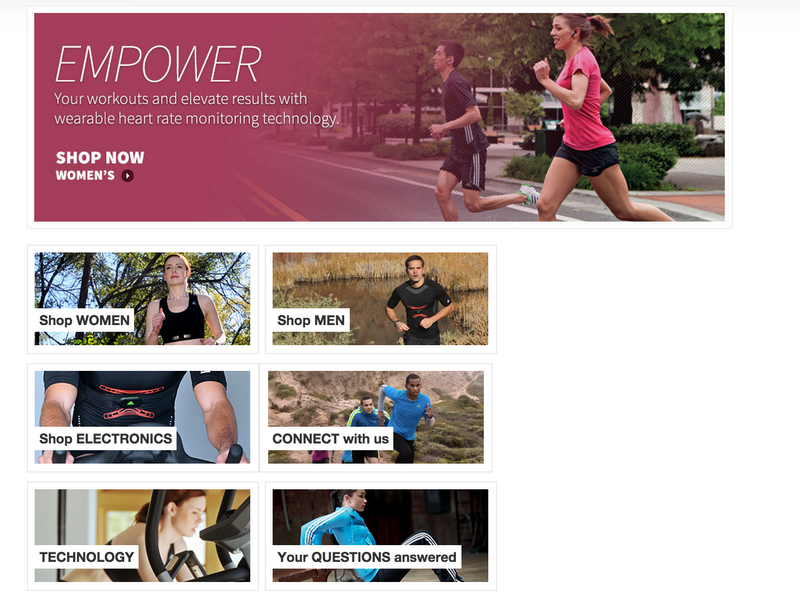 The heart rate monitor pocket is well constructed, easy to use, and comfortable. I don't even feel the monitor when I'm running. 3. 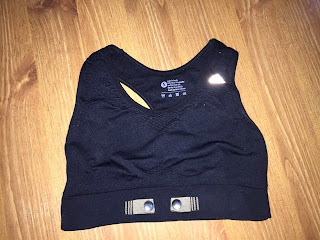 It's really nice to clip the heart rate monitor onto clothing and not have to worry about keeping a strap in place. 1. The app shows a lot of data, including predicted finish times in different races based on your performance. 3. The monitor is your standard snap-in oval. It's lightweight and the profile seems average to me. 1. I've noticed chafing from the seam of the heart rate monitor pouch, but luckily it doesn't hurt. 1. The constant sensor issues really drove me nuts. While I thought everything fit snugly, maybe the strap was too big; however, I don't think the bra could be any smaller. 2. There seem to be some issues using it with iOS8, so it's good to know that if you use an iPhone. For example, I noticed that one of my runs clocked my heart rate at 50 beats per minute, which is 10 beats slower than my resting heart rate. MY VERDICT: I really wanted to like this product, but at this point I can say that it is okay. 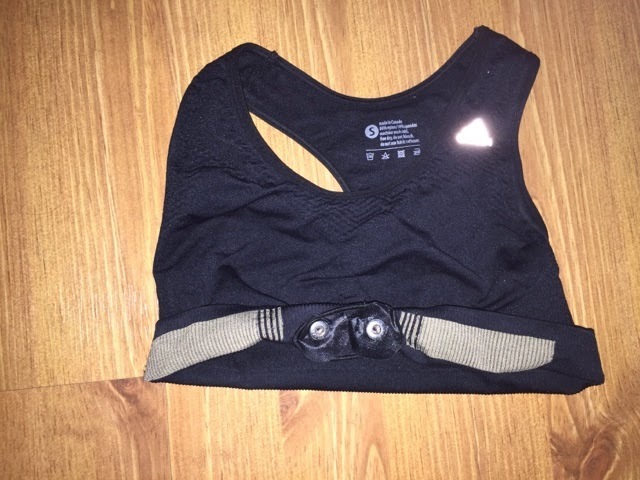 I like the fit and support of the bra and I think Adidas constructed it well. I also like the features provided on the app, which are the same as other free running apps available. Interestingly, I find that the more I run with the monitor, the more realistic the readouts are. 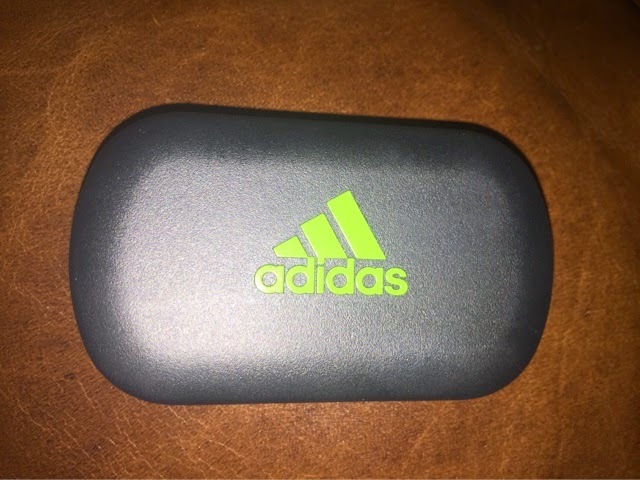 If the sensor stays in contact with my phone, then maybe the Adidas miCoach and I can be friends after all. 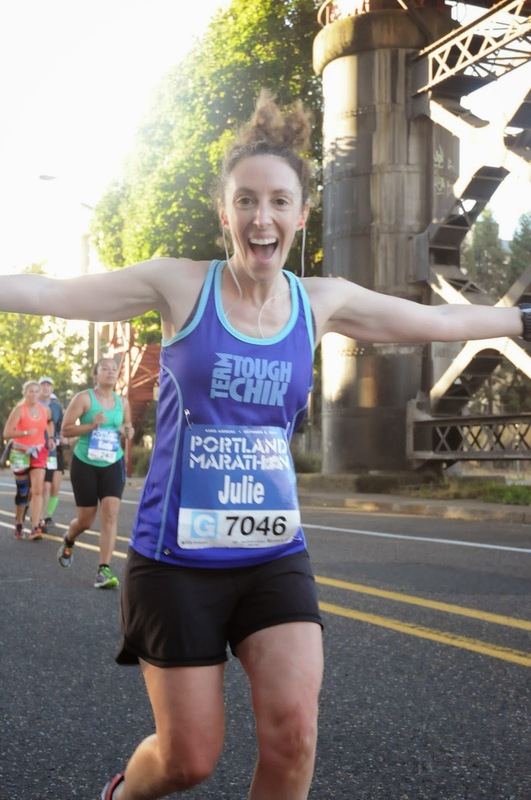 Portland Marathon 2014: I ran, I saw pirates, I crossed the finish line. If you missed Part One, click here! and posed for some cameras. I remembered (again suddenly) that in my rush to get out the door I had forgotten to put anti-chafe cream on the MOST important spot. I hoped that by the time they were offering vaseline it would not be too late. Thankfully, just a few miles in, volunteers were already handing it out at water stations. No point in being shy right then; I was not going to risk 22 miles of chafing just to avoid momentary embarrassment. When it comes to running, this is the least embarrassing of many possible mishaps in your derri-area. If ya don't know, just ask one of your runner friends. Christy soon pulled ahead as we moved into the 6 mile stretch of out and back beside the train tracks. The pirates were back again this year and one of them joined me for a bit. Christy and I caught a glimpse of each other again at a turnaround point and waved like we had been apart for months. For the rest of the race, it was me and my tunes. I focused on using my glutes and on my nutrition. I had really practiced when and how much to take during my training runs. I also started taking an extra cup of water because it was sunny and 80+ degrees out. Last year I ran up the huge hill between Mile 16 and Mile 17 and it really took a lot out of me. This year I followed Bruk's advice to walk it. It's an energy conservation thing. I was so happy with that decision; I had plenty of pep in my step and almost felt refreshed once I got onto the bridge. I started even thinking that maybe I could finish this race in 4:59:59. But then I started lagging around Mile 20. I didn't hit the wall, I was just tired and would have preferred to no longer run. But all of a sudden there were people with bananas and pretzels and candy corn! Oh my! and immediately regretted the candy corn. I had a good hour left if I ran, and I did not want to spend any extra time on the course. It was gut check time. Run or walk. Do or die! Now or never!! So, I dug DEEP and ran my last 5 miles as fast as my body would allow (which was between 10:30 and 12:30 minutes per mile). I just focused on moving forward, trying to trick my mind by pushing a little bit harder every time I wanted to stop. 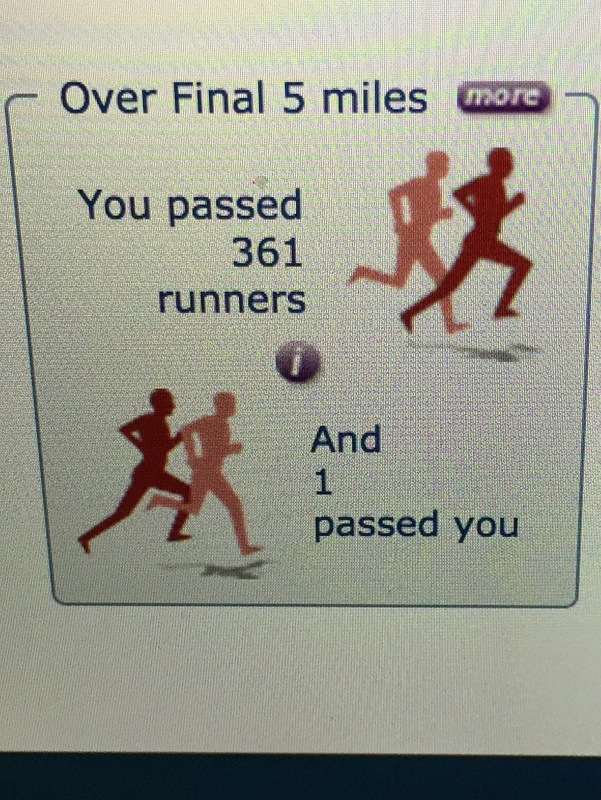 And I passed a few people, apparently. I responded to the encouraging spectators with weak waves of acknowledgement. In the home stretch I saw TriGuy and mustered a real smile. After the longest 0.2 miles in the history of EVER, I crossed the finish line! So did another girl right behind me, with the ironic (?) name "Thug Lyfe" on her bib. She is in almost every one of my finish line photos. After I walked through the finish chute and collected my medal, my satchels, my rose, my finisher's jacket, and as much food as I could handle before feeling sick, I sat myself down on the corner and texted with Erika for a few minutes. She immediately let me know that I had PRed! Then I got up and found TriGuy. As we were walking back to the hotel I stopped to get coffee. The barista told me she had just started running a couple of weeks ago, then another one came up and asked me if I had qualified for Boston. And I laughed, and laughed. Once we got back to our room I lay down for a bit, then wandered into the shower. I may or may not have done a little multitasking.